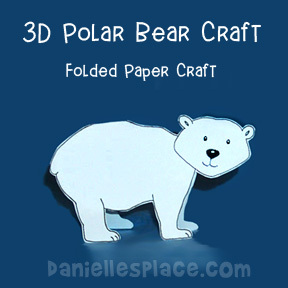 Alaska - (Crafts relating to Alaska) - Make pop bottle snowflakes, a paper bag moose, a moose bookmark, a pencil holder, a 3D stand up moose, a moose puppet, a paper plate puffin, a polar bear dessert dish, or a folded polar bear. 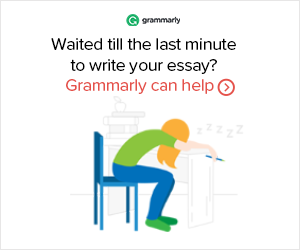 Or you can make a 3D mosquito or a flyswatter picture. 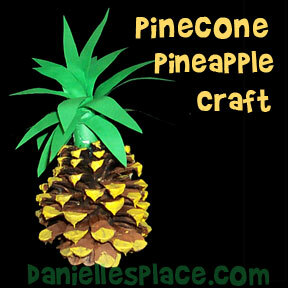 Hawaii - (Crafts relating to Hawaii the Aloha State) - Make a lei and pinecone pineapples and use them to throw a luau.